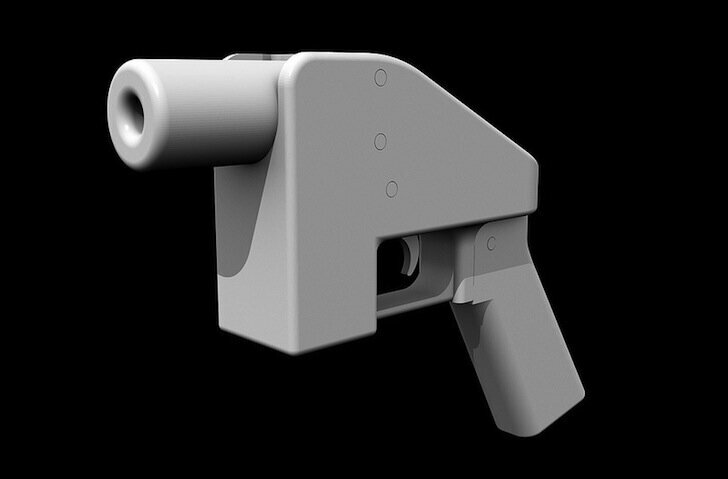 The Liberator 3D printed gun. Photo credit: Electric-Eye on Flickr. In the United States, it’s legal to build a gun in your own home. By extension, that means that you can 3D print your own gun. Our neighbor to the north, Canada, has no such right. But that didn’t stop a team at the University of Toronto led by director of their Critical Making Lab, Matt Ratto, to set out to prove that they could build a working handgun. They were able to skirt the law by modifying American Cody Wilson’s infamous Liberator gun to make it impossible to fire. Since they have not been arrested, I assume it’s legal to make a nonfunctioning gun there. The Liberator files were downloaded from Wilson’s DEFCAD website, prior to the U.S. State Department ordering their removal, citing a dubious interpretation of arms-export laws. While you cannot make a gun in Canada, downloading the files was not an issue as there is no law in Canada prohibits the activity. Not yet anyway. An estimated 10,000 Canadians already own a 3D printer. I have a feeling that the U of T team may not have been the first to print a gun, just the first to publicly admit to printing one. Declining an interview request, the RCMP told The Globe and Mail that it will continue to “monitor” the development of 3-D printers. The national force has no policies for 3-D printed handguns. Police officers in Montreal were unfamiliar with the technology, having never come across a 3-D printed handgun. One constable was left wondering how a “photocopier” could make a dangerous weapon. Sounds like they’ve got a lot of catching up to do on their understanding of new technology. But don’t think that won’t stop new regulations on 3D printing (or photocopiers)– laws are very often enacted with no comprehension of the underlying issues.